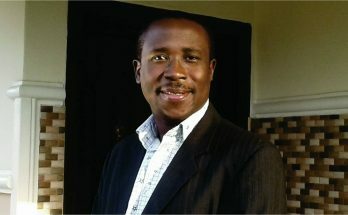 Truly whatever you sow is what you will reap. 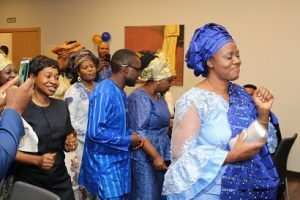 This could best descibe what happened to Gloria Bamiloye in Spain. 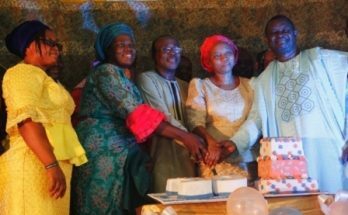 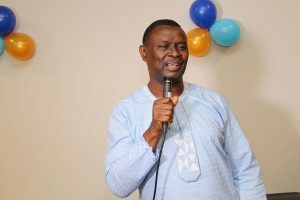 Mike and Gloria Bamiloye had gone to spain to minister at the Ministers Conference in spain but to their surprise, a special birthday celebration was organized for Gloria Bamiloye on the last day of the event. 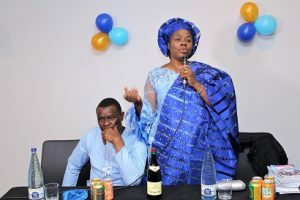 Although Gloria Bamiloye’s birthday was February but The Fatunsins’ decided to celebrate her since she will be coming to spain the month after her birthday. 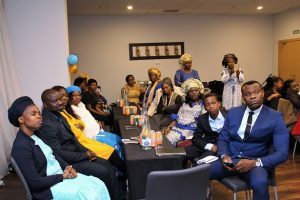 The special birthday celebration which took place at Eurostar Hotel, Zaragoza Spain saw many people in attendance to celebrate the gospel actress and producer. 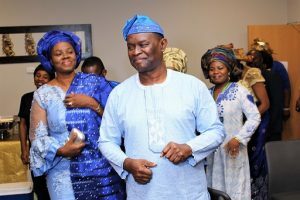 “It was the celebration of our dear mummy in the Lord, her actual birthday was in February but the Lord laid it on our heart to celebrate her. 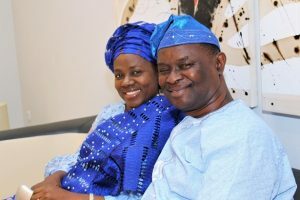 Mummy Gloria Bamiloye is a mother indeed right from my first contact with her at the Mount Zion Institute of Christian Drama Ile-Ife Nigeria in April 1996, she has been such a blessing to me. 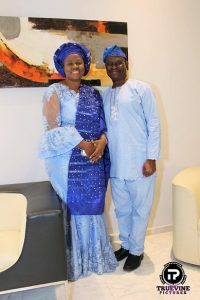 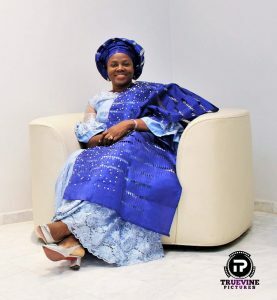 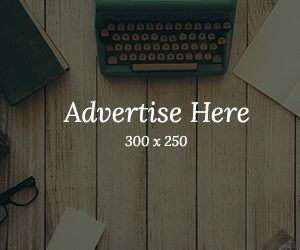 Daddy Mike Bamiloye and Mummy Gloria Bamiloye has been a great encouragement to me personally over the years so I see it as a great privilege to do this as inspired by the Lord,” Toyin Fatunsin stated. 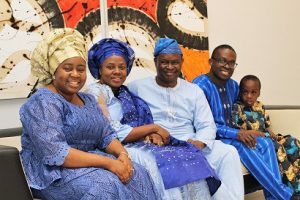 Gloria who is know for her simplicity, humility and love for God is a biological mother of three blessed servants of God and a spiritual mother to many. 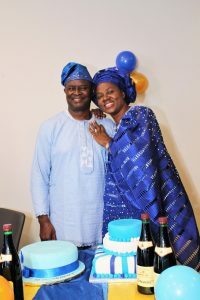 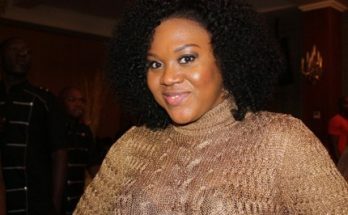 Fatunsin further disclosed that: “I can’t but celebrate Daddy Mike for allowing Mummy to show forth God’s glory. 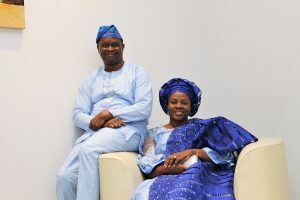 They have both played significant roles in my life, ministry and family. 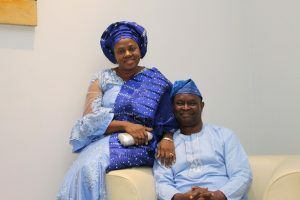 My husband recounted how mummy’s warmth and acceptance when I first took him to meet them as the “brother” we were waiting for then endeared him the more to mummy and the role they have been playing which are too numerous to mention.